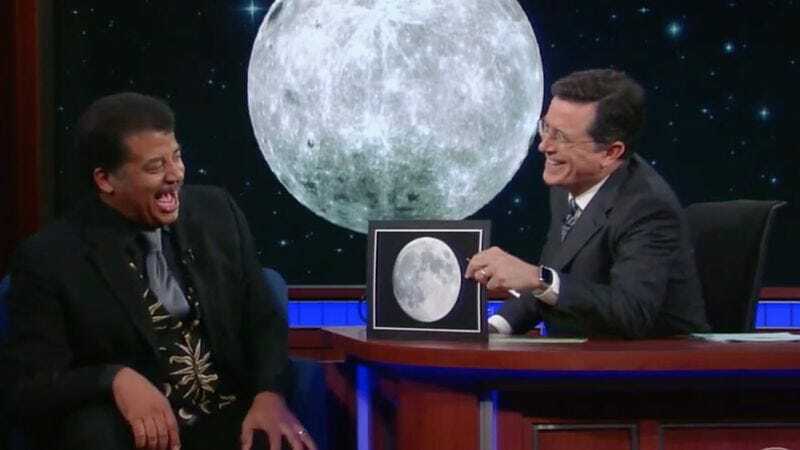 Although Tyson teased Colbert about some of his visual aids—the moon in the graphic shouldn’t rotate, for starters—he did tell the host that the face he sees in the moon is that of a woman. Tyson maps out how the maria make up a visage not unlike that of Wilma Flintstone, which prompts Colbert to provide a photo for side-by-side comparison. Hey, since he’s so into music these days, maybe Tyson will do a cover of that R.E.M. song.